Easter Weekend – Where will you celebrate yours? 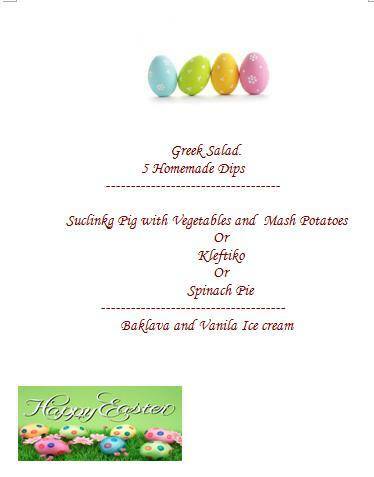 Hill View Restaurant will of course be hosting their weekly, delicious traditional Sunday carvery as usual, but this week they will have the addition of Flaounes (traditional Easter pie – a must-try!). Again, book up in advance! 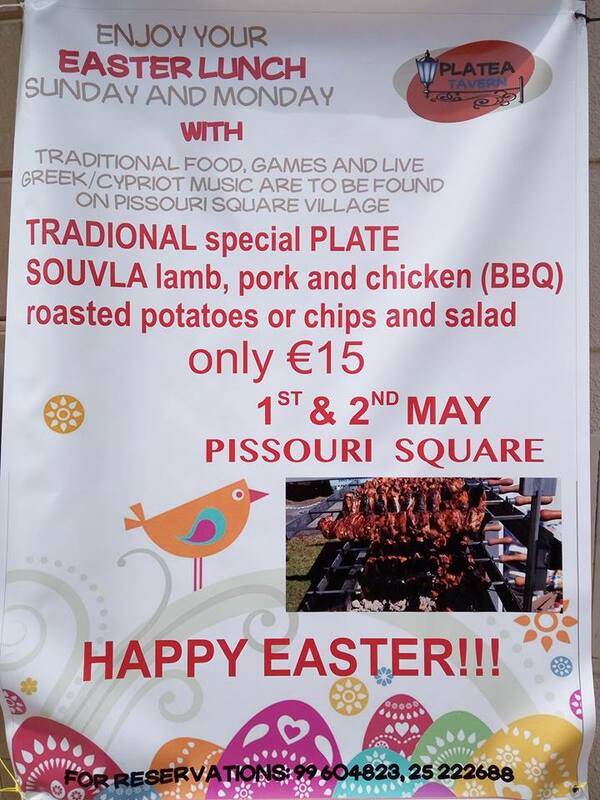 Kouklia Village also offers a fun, traditional array of celebrations, for which you can find the programme (in Greek and in English) via this link: Kouklia Easter. 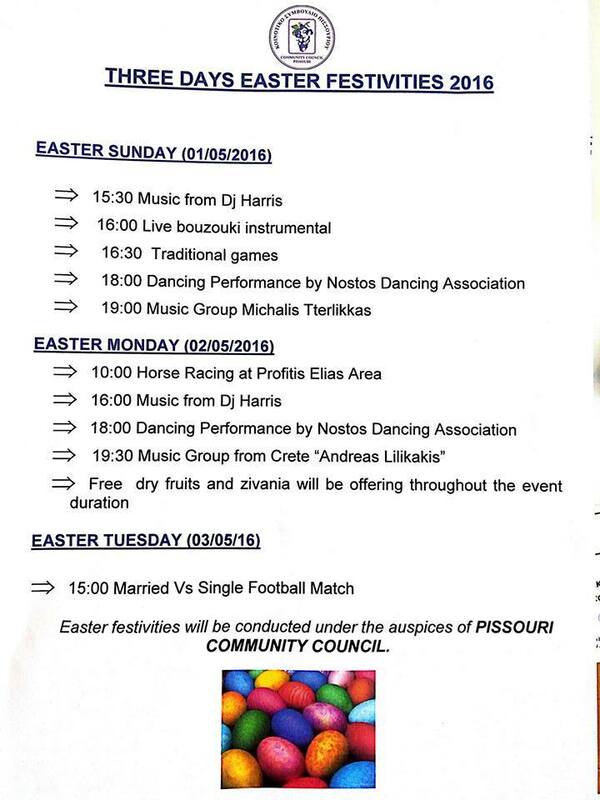 The Resort has an action-packed Easter programme of events running from Friday through to Monday (including free tennis coaching, horse riding, golf demos, chapel services, discounts and more) which you can view in the poster below. 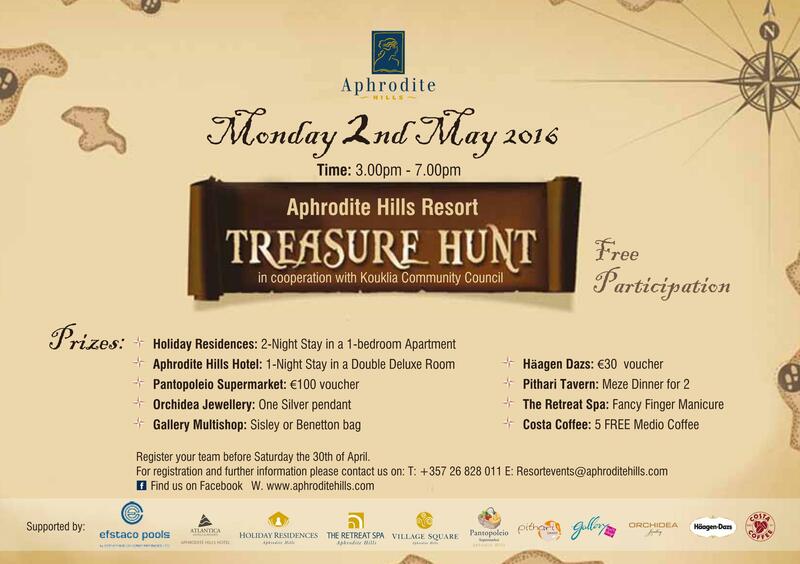 In addition, in conjunction with Kouklia Community Council, will host a fun Treasure Hunt on Monday 2nd May – see below poster, and make sure to register your team before Saturday this week! 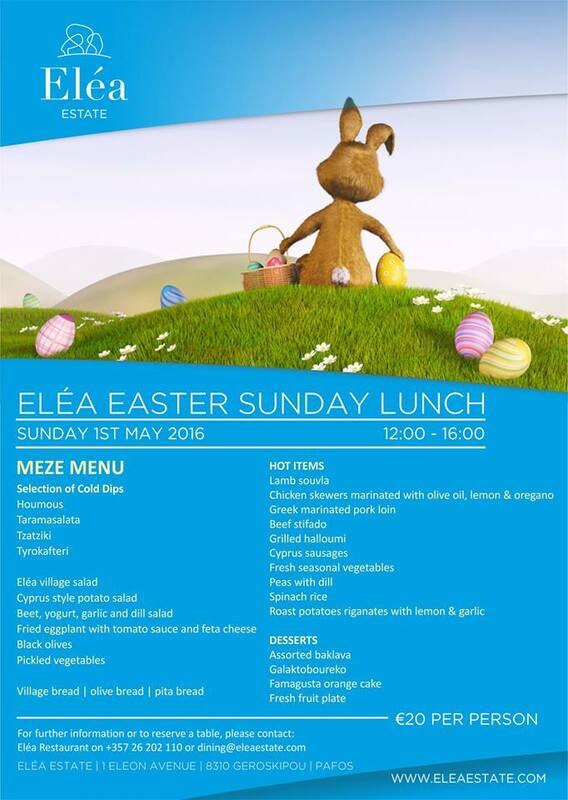 This entry was posted in Holiday Rentals, Property Management, Uncategorized and tagged 2016, Aphrodite Hills, aphrodite hills resort, easter, easter celebrations, Easter Sunday, Elea Estate, Events, Family Fun, Kouklia, May, Pissouri, things to do. Bookmark the permalink.